Black History Month and Fashion Week are upon us, so it's the perfect time to indulge a shopping habit by supporting black designers moving the sartorial conversation forward. Whether it's their bold and unfettered address of society or their refusal to align with the industry's demands, these luminaries are making waves and creating their own lanes. Their talent is a demonstration of what happens when the discussion around fashion is as diverse as the real world. These design phenoms hail from the boroughs of New York City, across the Canadian border in Toronto, and elsewhere. The categories they represent are also varied, including menswear and eco-conscious footwear. 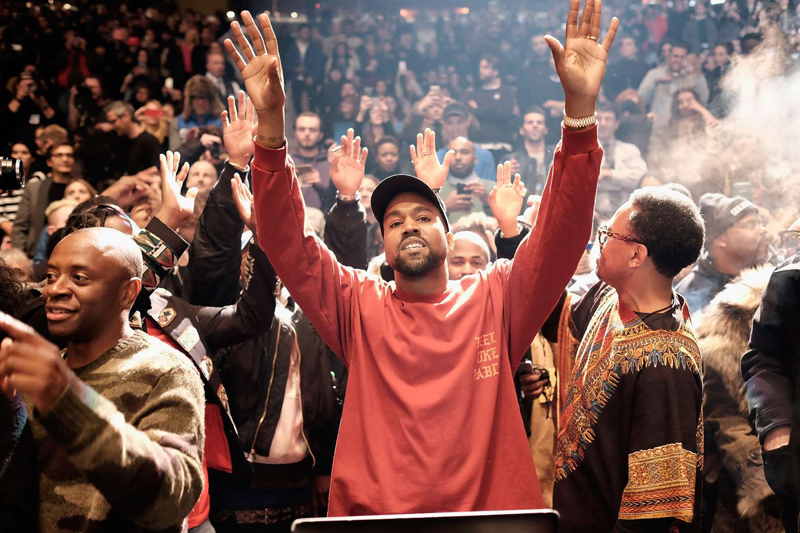 If you haven't been supporting these stars, Black History Month is the perfect time to start. 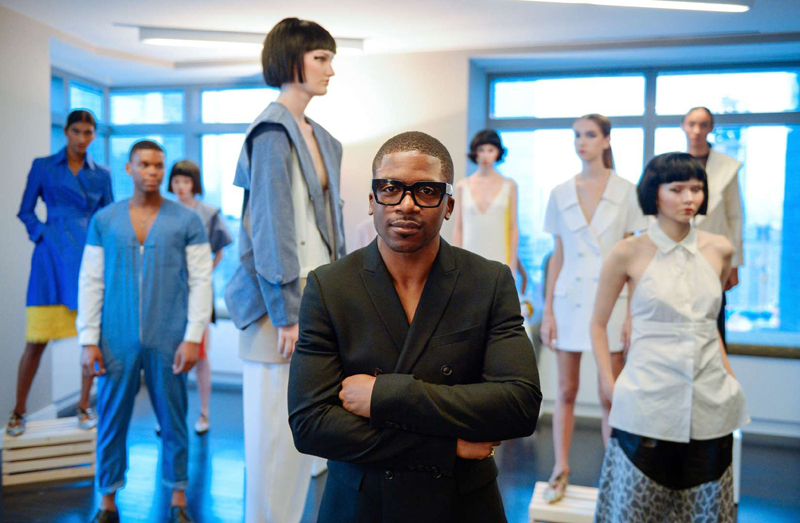 Ahead you'll find 13 black designers that should be on your radar this month and beyond. If there's one collection we look forward to each season, it's Pyer Moss's. Jean-Raymond brings reality to the runway, with collections that have spoken to mental illness and police brutality in seasons past. 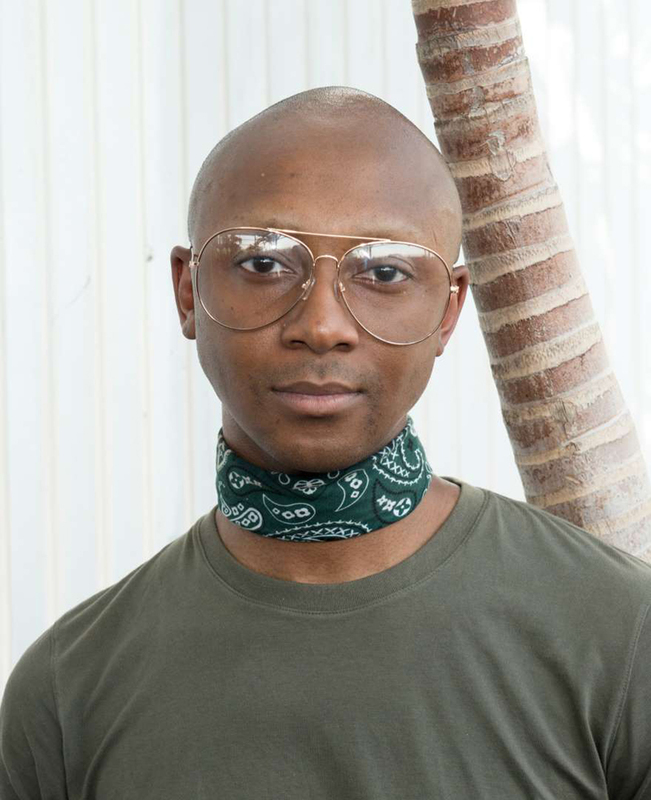 Known for dressing Zendaya and Beyoncé, Hunte is all about connecting fashion's past and present. His outerwear pieces are the kind of designs street style dreams are made of, so we're sure the aforementioned stars will be spotted wearing pieces from the collection as long as the temperatures stay cold. Pictured here with Selah Marley, Telfar launched a unisex line long before the biggest houses put gender-neutral designs on the runway. Since the brand's inception, Telfar has been a proponent of speaking for the marginalized through fashion. Recently, the Queens native combined functionality with a cool sensibility: think flares, high-waisted denim, and sportswear pieces that turn the trend on its head. 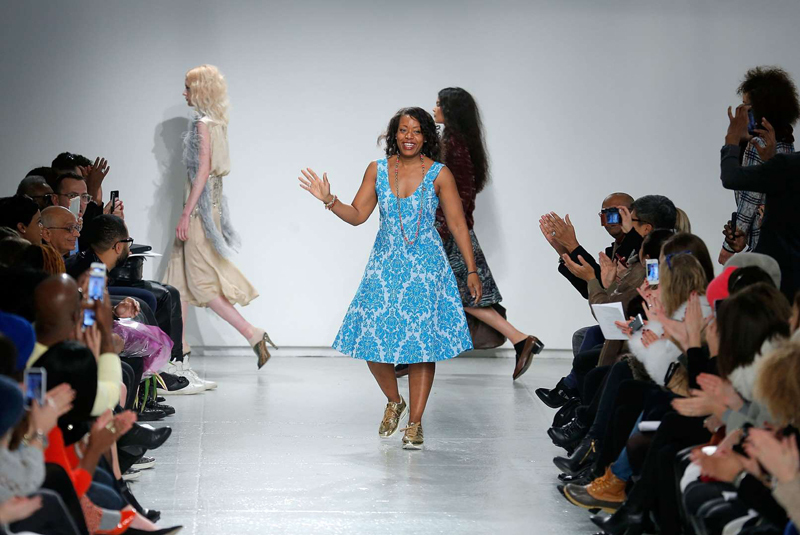 A favorite of former first lady Michelle Obama (she wore TR for the Democratic National Convention... NBD), Reese is one of the most celebrated black fashion designers in the industry. Lauded for whimsical dresses in colorful prints, Reese never shies away from taking a stand. She is one of the many fashion designers who have long stood with Planned Parenthood, and, at a recent presentation, she wore a graphic t-shirt that quoted icon Angela Davis: "I'm no longer accepting the things I cannot change...I'm changing the things I cannot accept." That says it all. 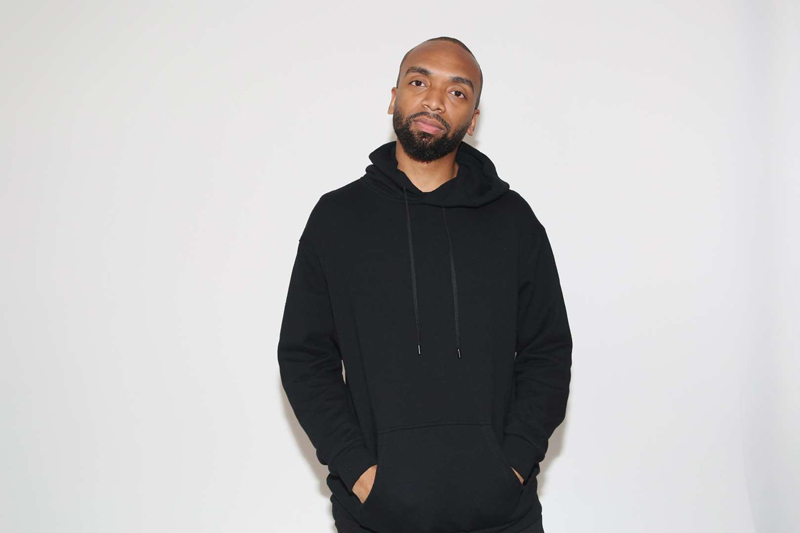 A few years ago, Lamaar teased on Instagram that he is retired from showing in the Big Apple during New York Fashion Week, but that doesn't mean he has faded into the background. 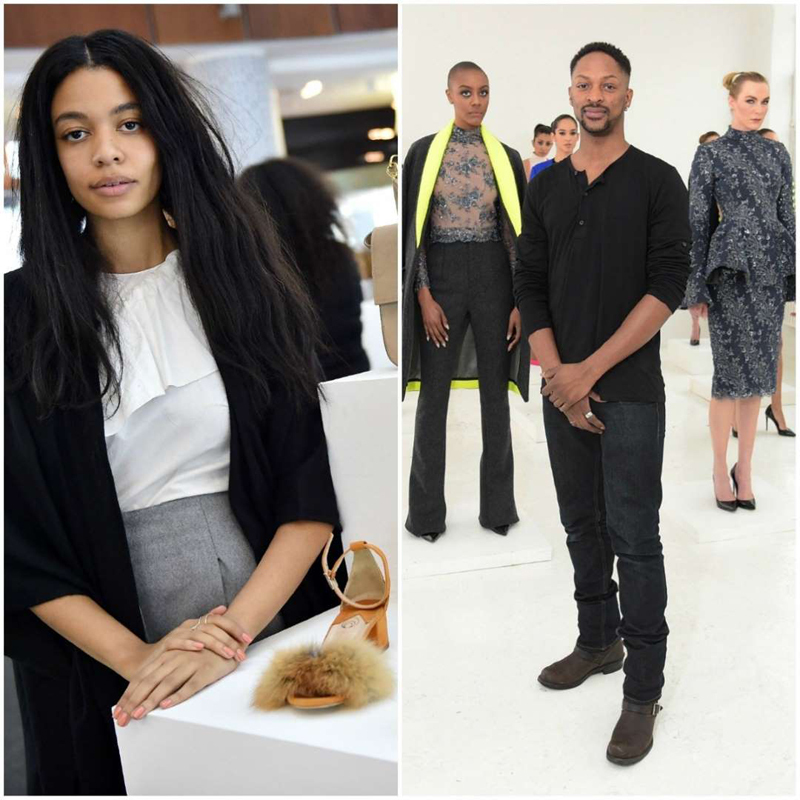 The Beyoncé-approved designer should keep your attention because his 'grams prove he's always working on something bigger and better. The Queens-born designer has become a red carpet go-to, but who says you can't wear his glamorous statement pieces IRL, too? This season, take a cue from your favorite celebrities and treat yourself to one of his looks, whether you shop Smith's eponymous line or his much-anticipated collaboration with ASOS. Toronto-native Aurora James has taken over the footwear industry. With furry confections that are a go-to for celebrities, editors, and influencers, her Brother Vellies pieces will absolutely continue to be seen. In short, feel free to purchase a pair or two. 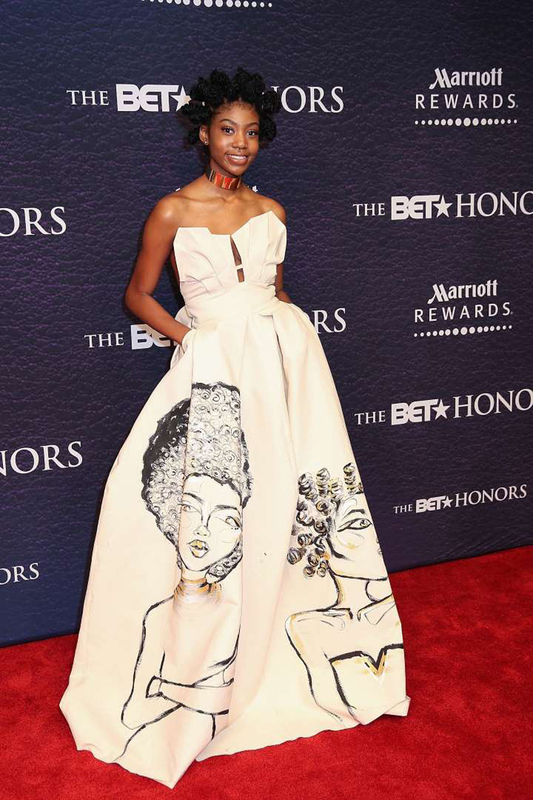 Kyemah Mcentyre's dashiki-print prom dress went viral a few years ago, which eventually led to her showing at New York Fashion Week. Now she's even selling t-shirts on her site, proving she has plenty of range as a designer. From her groundbreaking cosmetics collection to her coveted lingerie line, Rihanna is making unprecedented strides in beauty and fashion. She's advocating for representation in the most powerful way: With Fenty Beauty, she's turning the cosmetics market on its head with a 40-shade foundation range catering to neglected deeper and paler tones; through Savage X Fenty, she's giving lingerie brands a run for their money by serving — and casting — people of various sizes, heights, and shapes. The Rihanna reign just won't let up. Parsons graduate Carly Cushnie is the genius behind one of our favorite fashion lines. After rebranding earlier this year, the wunderkind designer again took femininity to the next level with even more vibrant fabrics and colors in her spring 2019 collection. We can't wait to see what she does next. With his season 5 collection, a much more functional and understated assortment than he presented in years past, the fashion industry may have finally embraced Kanye West the designer. To his credit, he has always had one of the most diverse model castings on the runway, including the first hijab-wearing model to sign with IMG, Halima Aden. A favorite of celebrities like, say, Beyoncé, Demestik is definitely a brand to watch. Designer Reuben Reuel's mash-up of bold prints in modern, architectural silhouettes makes each piece memorable. Whether you're on the hunt for a sophisticated sheath dress or a head-turning bell-sleeved blouse, Demestik has something you're bound to fall in love with.